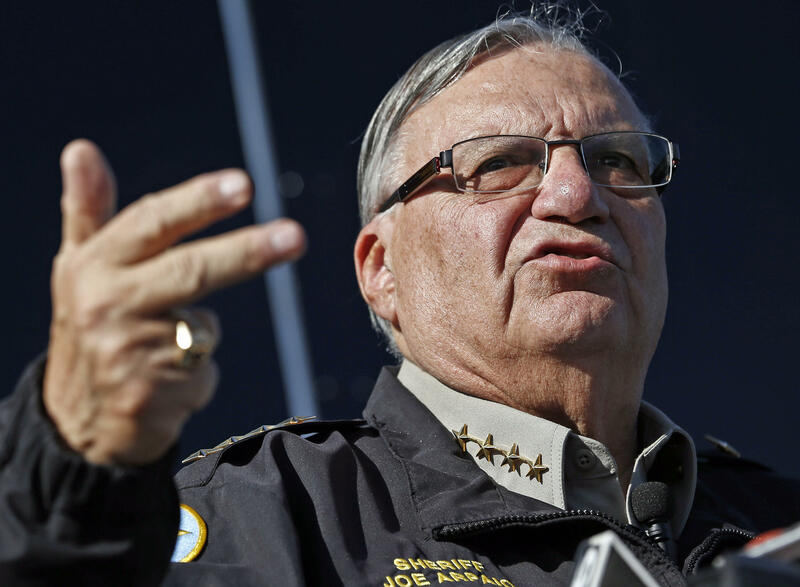 A majority of people say President Trump did the wrong thing in granting Arizona's former Maricopa County Sheriff Joe Arpaio a pardon, according to an NBC News/SurveyMonkey survey released Thursday. The poll found that 60 percent of voters said Mr. Trump did the wrong thing, 34 percent said he did the right thing and 6 percent gave no answer. Late Friday night last week, the president pardoned Arpaio, who was convicted in July for contempt. He ignored an order to end traffic patrols that targeted immigrants. A federal court said that the traffic stops to find undocumented immigrants amounted to racial profiling. The survey also found that 71 percent of people said that most undocumented immigrants working in the U.S. should be offered a chance to apply for legal status. Twenty-six percent, on the other hand, said they should be deported to the country they came from and 3 percent had no answer. Fifty-nine percent said they either strongly or somewhat disapprove of Mr. Trump's job as president and 39 percent said either strongly or somewhat approve of him. The poll surveyed 10,219 adults between August 24 and 29 with a 1.4 percentage point margin of error.